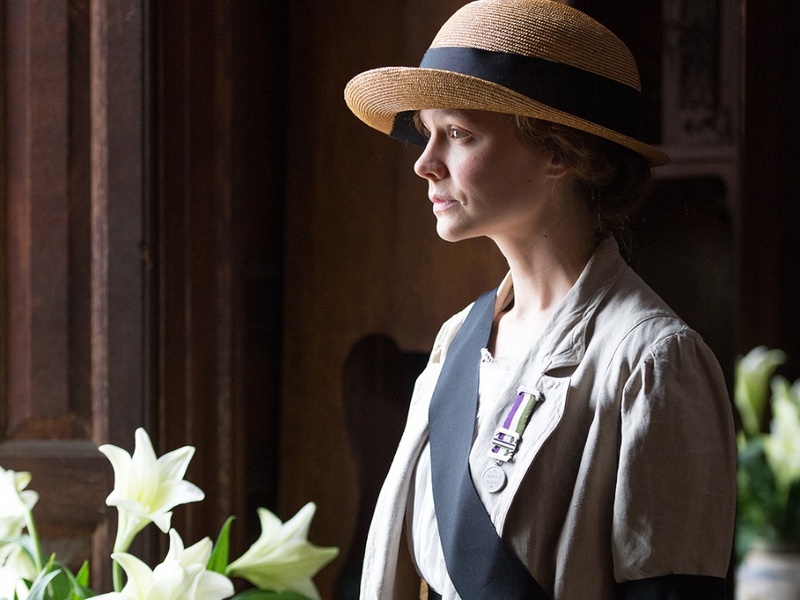 Based on true events from the late 19th and early 20th century, the movie tells the tale of the early feminist movement in London where women were forced to become foot soldiers in a battle to gain equal rights. The tale is compelling and although we've seen it before there is a rawness to it that is fresh, likely due to director Sarah Gavron, screenwriter: Abi Morgan and a couple female producers. The all star, epic cast including Meryl Streep, Carey Mulligan and Helena Bonham Carter was phenomenal along with gorgeous sets, lighting and the costumes. 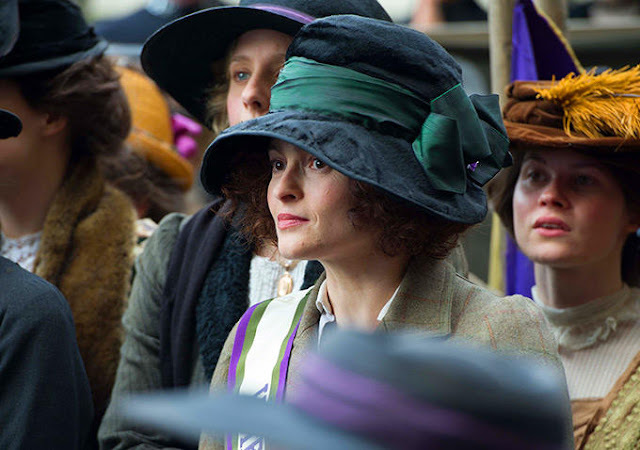 Helena Bonham Carter (actor), Faye Ward (producer). "Sure, a female president in the US would potentially give some hope to young girls but not when the lady is from a patriarchal tribe and has aligned her self with those outdated systems. Based on recent events, we still seem to have a way to go don't we? The great thing about films of this sort that are told from a holistic point of view is they get us thinking out of the box and into the circle. We all live together in a very complex system with many points of view, ultimately things change when we are able to shift consciousness. Regrettably the shift does not come easy. 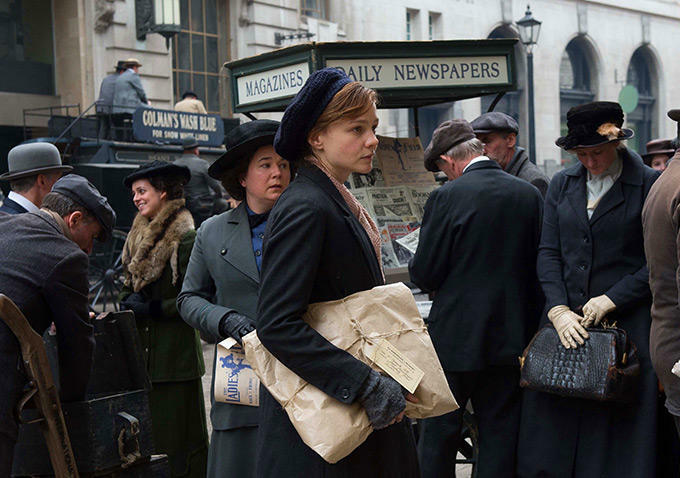 In the last Movie Monday post the character Lucy says "Ignorance brings chaos, not knowledge." Indeed. Read more quotes from Lucy here. 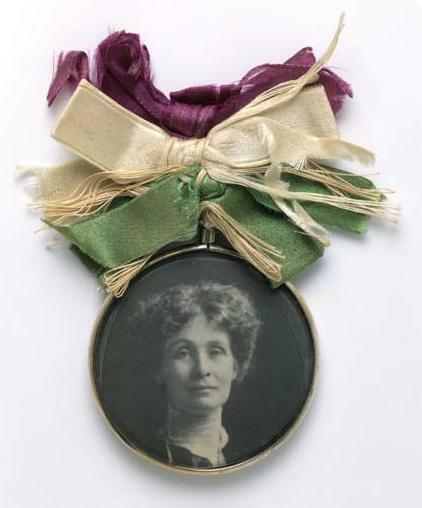 Read about the history of the Suffragettes and the women behind the movement by following this link to Bio. 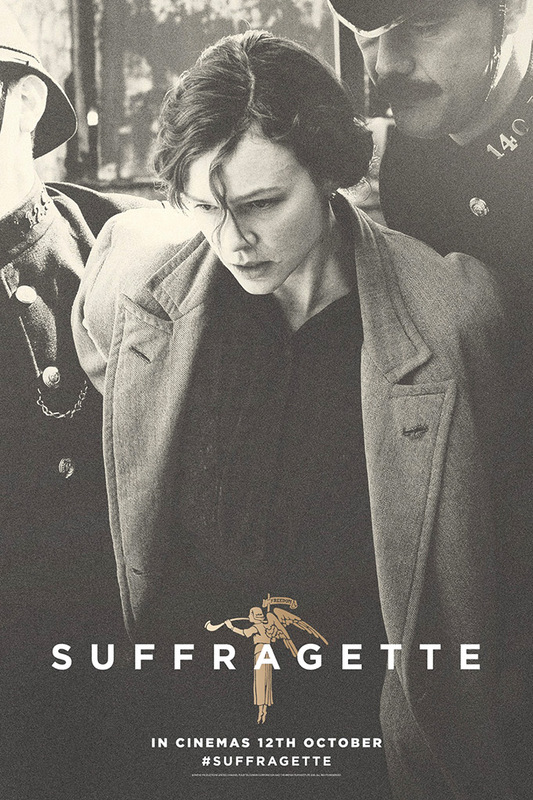 Photos: UK film poster, group (via The Guardian), Emmeline Pankhurst Ribbon (via Wikipedia), Annie Kenney and Christabel Pankhurst (via Wikipedia) and assorted stills from varied sources on the internet.